When I started researching I did not realize that annuities still existed. Below I have put together some research as I develop my own personal retirement plan. Feel free to learn below, but realize I am a novice who is researching not a seasoned veteran with this investment product. Annuities can play a significant role in a retirement plan. In the unsettled world of finance, they promise a return and source of regular income. By understanding what they are and how they work, people can use annuities to stabilize their retirement plan. Annuities are, in essence, contracts. In an annuity, the individual agrees to pay the premium for a specific period of time. After that time, the insurance company agrees to pay the individual a specific amount for a specific period of time. 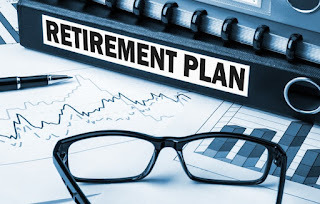 There are four primary items to look at in an annuity: the premium, the length the premium is paid, the interest rate and the period paid back to the individual. There are two types of annuities. Both of them offer an interest rate, but the rate will differ significantly, as will the risk. Fixed-rate annuities are typically invested in secure bonds, government treasuries and good corporate debt. These promise a specific interest rate. With variable-rate annuities, the return can vary. This is because they are invested in riskier stocks, usually. However, even variable rate annuities often promise a minimal return. One major attraction of annuities is their extremely low risk. Even variable annuities promise a minimum return, so individuals’ money is not completely lost. This cannot be guaranteed if one invests in the stock market. When investing in annuities, the greatest risk is the insurance company’s bankruptcy. If the company providing the annuity fails, then the investment will be worthless. For this reason, people should at least diversify the insurance companies they have annuities with. This is an extremely unlikely scenario, but it is possible. Many people who invest in annuity retirement plans are looking for a regular source of income when they retire. Investments in stocks, bonds, gold and real estate are unknown. They may go up. They may go down. What is known is they will not send a regular check in the mail. With annuities, people receive a check regularly, which they can plan on. Even rental income cannot be guaranteed. One month’s rental income could be cancelled out by a broken appliance. Yet, annuities provide a hassle-free source of income. This allows retirees to have peace of mind, and it can be helpful when budgeting. Annuities also provide a stability not seen in many other investments. Investments in the stock market are volatile, as are many others. They go up and down. Daily, the news reports on the stock market’s activity. It is difficult to find an investment that is not closely linked to the markets, but annuities provide a buffer. Even the returns received from variable annuities invested in stocks are not completely linked to the market. Annuities have a role in retirement plans. They are not a get-rich-quick investment and will not double overnight. Annuity retirement plans are meant to provide stability, safety and security. Sure, everyone would like to earn a million dollars immediately. But, reality is that rarely happens. People who want a secure retirement, where they can live comfortably without worry, should consider annuity retirement plans.